Ascending Butterfly: There are some animals that REALLY need YOUR Help! - New York Aquarium Devasted by Hurricane Sandy! There are some animals that REALLY need YOUR Help! 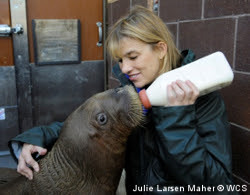 - New York Aquarium Devasted by Hurricane Sandy! All 14 acres of the New York Aquarium were overtaken by surge waters during the storm, creating significant and long-lasting damage throughout the park. Located just off the beach at Coney Island, the 14-acre aquarium was completely overtaken by water. They are working on restoring life support systems and have restored power to two exhibits. Water is still being pumped out of areas that house crucial operating systems. The primary concern remains the health of the thousands of animals, many of whom will be relocated to other aquariums if power cannot be restored within a safe time-frame. Next comes the long process of repairing and rebuilding. 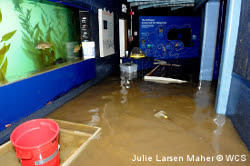 During Hurricane Sandy, 22 dedicated aquarium staff remained on duty throughout the storm (24 hours a day! ), working nonstop to protect and care for the animals as the waters rose and the winds battered the coast. This was especially crucial for the safety of Mitik, the orphaned walrus calf who only recently arrived and whose pre-existing health issues require constant attention. That same staff has continued to work around the clock to restore operating systems critical to thousands of animals in the Aquarium's care. They have established temporary life support for the aquatic systems, are pumping flood waters out of basements and mechanical areas, and are working to restore filtration and other life support essential for the exhibit and holding tanks. New York and the United States at large are always quick to send aid to others and now we sound the alarm, one of our Major Landmarks (and a fond part of most New Yorkers childhoods, cherished moments with family as well as visitors to our fair city) is in JEOPARDY! Please click HERE to help the animals, no donation is too small! 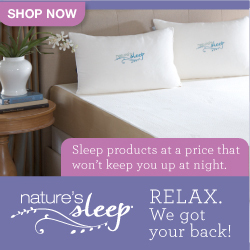 FTC Disclosure: I am a Wildlife Conservation Society Blogger Ambassador. However this is NOT a sponsored post, this post is entirely non-compensated and all opinions expressed herein are 100% my own. I am an Avid Animal Lover, and Life Long New Yorker and want to see this cherished landmark get the help it needs! I remember going to the aquarium as a child and also takeing my daughter as well,love it there (my favorites are the beluga whales. I hope everyone will heed this plea for help. TY for letting us know of there need for help.